As we mark another anniversary of the March 24, 1980 assassination—and martyrdom—of Archbishop Oscar A. Romero of El Salvador, we are gladdened by news from the Vatican that his canonization may be drawing near. 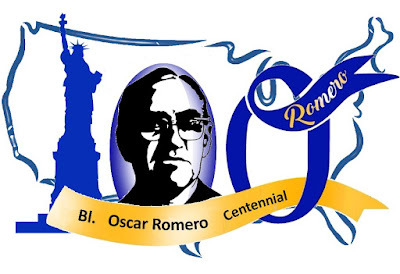 Therefore, we call to the whole Church and particularly to the churches in America, to reflect, pray and to honor his legacy in this Romero Centennial Year. We applaud efforts already underway and salute the 30th Annual, Centennial Edition of the “Romero Days” Conference to be held at the University of Notre Dame’s Kellogg Institute March 24-28, 2017. The “Romero Days” conference will provide the academic and intellectual keel for the spiritual reflections that we feel need to follow in the course of the year. We call upon Catholics and all whose spirituality includes praying for the intercession of saints to pray the Romero Novena (see below), created by the Church in El Salvador to highlight the deep spirituality that underlay Archbishop Romero’s bold and prophetic denunciations. 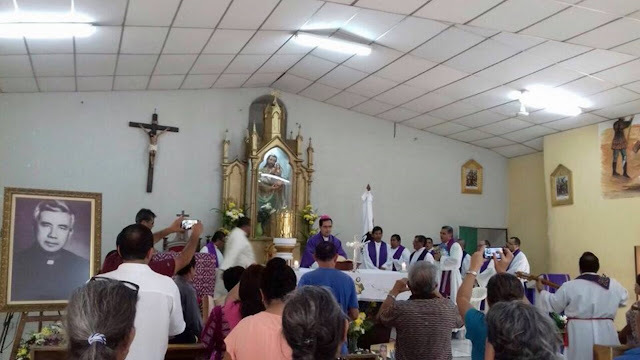 We propose that the faithful pray the Novena starting on August 6, the Feast of the Transfiguration (El Salvador’s patronal feast), running up through August 15, the Romero Centennial. Finally, we call on the Church to commemorate Archbishop Romero in a special manner on All Saints’ Day 2017 with special remembrances and liturgies to honor his memory and close out the Centennial reflections and celebrations. I believe faithfully and truly in the Mystery of the Holy Trinity, Father, Son and Holy Spirit, three distinct persons and one true God, in whom I firmly trust to obtain the perfection of the pain of having offended His Most Holy Majesty, through the merits of My Lord Jesus Christ, those of His Blessed Mother and those of my glorious advocate Blessed Oscar Romero; I entreat the Lord to always preserve in me this living faith, to grant me the forgiveness of my sins, provide for my needs, and for what I ask in this Novena, if it is for His honor and for the good of my soul. If not, may I live obediently in His holy will as it best behooves me. Amen. Glorious Blessed Oscar Romero, we turn to you, confident of your intercession. We are drawn to you with a special devotion and we know that our supplications will be more pleasing to God our Lord, if you, who are so beloved of Him, present them to Him. Your charity, an admirable reflection of God’s own, compels you to succor all misery, to console all sorrow and to gratify all desires and needs, if it is to be of benefit to our souls. Look, then, upon our miseries and sorrows, our labors and needs, our good desires, and help us to assure ourselves more and more of our eternal salvation with the practice of good works and the imitation of your virtues. And, in particular, we ask you to obtain for us from God the special grace that, by this devout Novena, we confidently hope to receive. Amen. God the Father of all men and women, who has given us in your Martyr Bishop Oscar Romero, a faithful and zealous Pastor, fervent lover of your Church and in her in a special way, the poor and the needy, grant that we may know how to live according to the Gospel. Through Jesus Christ, our Lord. Amen. Begin with the preparatory prayer for each day. By the generosity with which your Bishop Oscar Romero responded to God’s call, recognizing the will of God with living faith always and in everything, I entreat you, in addition to the particular grace of this Novena, to grant me to be always faithful to your commands with a readiness and generosity similar to his, so that the faith received at Baptism will continuously grow and mature in my soul. Amen. Petition ... Our Father, Hail Mary and Glory. Conclude with the final prayer for each day. O Lord, who always hears the supplications of your saints; today we address you through the Glorious Martyr Oscar Romero to petition with faith and confidence for all the needs of Our Mother Church, that she may ever hold fast in the fulfillment of your will. Also, Lord, we pray for the sick who should invoke in faith the name of your Glorious Martyr Oscar Romero. By the unyielding hope that your Martyr Bishop Oscar Romero persevered in throughout his life, trusting fully in your paternal providence, I humbly implore you, in addition to the particular grace of this Novena, to grant me never to lose heart before the adversities of life, but rather, animated by the hope of Heaven, to live always confident of your merciful love. Amen. Petition ... Our Father, Hail Mary and Glory. Finish with the final sentence for every day. By the burning charity that your Martyr Bishop Oscar Romero felt toward the poorest of the poor, I beseech you grant me the particular grace of this Novena, and that my heart may be inflamed, more and more every day, by the divine love that burns in you, and in which you long to see all men and women consumed and purified. Amen. By that inextinguishable zeal that consumed the soul of your Martyr Bishop Oscar Romero in favor of the spiritual and temporal good of his beloved flock, to the point of sacrificing his life for them, I humbly pray that in addition to the particular grace of this Novena, you grant that I be more concerned for my spiritual welfare and the salvation of others. Amen. By the love of work that characterized your Martyr Bishop Oscar Romero in all his occupations, however ordinary and tedious they might be, I humbly beg you, Lord, that besides the particular grace of this Novena, that you grant me a great spirit of faith, to see in the use of the present moment the most effective means of seeking the glory of God, the salvation of souls and my own sanctification. Amen. By the admirable constancy and strength with which your Martyr Bishop Oscar Romero bore, first vicariously through the others and then in his own body, the horrible contempt of his own kind, in addition to the suffering of isolation and impotence to arrest the evil around him, I beg you humbly that in addition to the particular grace of this Novena, you may grant me to accept with my eyes fixed on you, my God, all the sorrows and difficulties of life. Amen. By that pious devotion that your Martyr Bishop Oscar Romero always professed to the Blessed Virgin, I ardently beseech you that besides the particular grace of this Novena, you may grant me to conduct myself, always and in everything, as your loving son, in order to merit one day the joy of being presented by Her before your court, to enjoy your company forever in Heaven. Amen. By that fervent love that your Martyr Bishop Oscar Romero professed for the Holy Eucharist, as the nourishment of his soul in his Masses and Communions, and as the solace of his spirit in his fervent adorations before the Sacred Tabernacle, I beg you, in addition to the special grace of this Novena, grant met hat may I grow more and more devoted to the Blessed Sacrament, and to prepare my heart every day to better receive it as to gain the maximum profit. Amen. The Presentation: March 14, 2017, El Paisnal, El Salvador. 24. Bishop Roberto Joaquin Ramos Umana. In the ninth year of his archbishopric, Archbishop Escobar has clearly found his voice, and it has a prophetic tenor. His first pastoral letter, last year, seemed “Romeroesque” to us for its attention to urgent social issues from the point of view of the Gospel. In recent days, the archbishop has led a campaign against metal mining, collecting signatures, leading a march to the legislature, and even presenting legislation to abolish the practice. 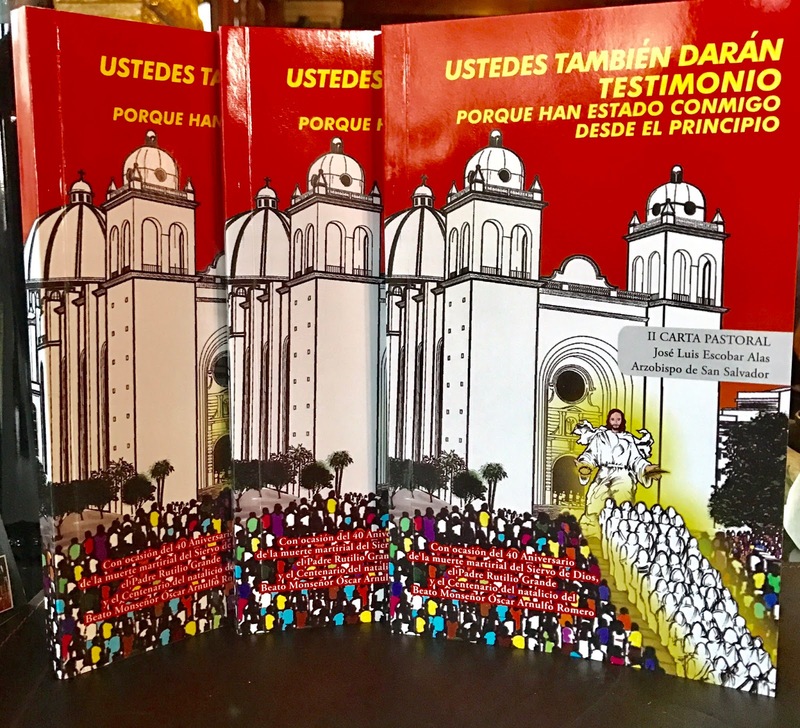 «Ustedes También» is perhaps his most radical move: in the true Romeroesque sense, Archbishop Escobar is radical from his orthodoxy. He co-opts new developments in the life of the Church and appropriates them to the traditional and institutional fabric of its history. La presentación, 14 de marzo de 2017, El Paisnal, El Salvador. 24. Monseñor Roberto Joaquín Ramos Umaña. En el noveno año de su arzobispado, Mons. Escobar evidentemente ha hallado su voz, y esta tiene un timbre profético. Su primera carta pastoral, del año pasado, nos pareció “romeriana” por su atención a los temas sociales más vigentes desde el punto de vista del evangelio. En días recientes, el arzobispo ha liderado una campaña en contra de la minería metálica, recogiendo firmas, encabezando una marcha hacia la asamblea legislativa, y hasta presentando legislación para abolir la práctica. «Ustedes También» es quizá su movida más radical, en el sentido verdaderamente romeriano: Mons. Escobar es radical desde su ortodoxia; co-opta las novedades en la vida de la Iglesia y las apropia al tejido tradicional e institucional de su historia. 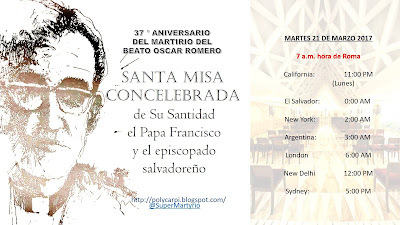 Pope Francis will concelebrate a festive Mass in commemoration of the martyrdom of Blessed Oscar Romero, accompanied by all the bishops of El Salvador in the Chapel of the Santa Marta House—the residence of the pontiff—on Tuesday, March 21st. The Apostolic Nuncio in El Salvador—the official representative of the pope in the country—Archbishop Leon Kalenga, announced the news about the concelebration during a mass in El Salvador to mark the fourth anniversary of the election of the Pope, held in the Metropolitan Cathedral of San Salvador and attended by high ranking officials of the Church and the country, including President Salvador Sánchez Cerén, who took advantage of the occasion to announce that he will send a letter to the Pontiff asking that Romero be canonized during the centennial year . “The Holy Father will gladly concelebrate the Eucharist with all our bishops, who will offer it in memory of Blessed Oscar Romero,” said Nuncio Kalenga. The festive concelebration for Romero's martyrdom would be the first to include papal participation, and stands out as an unusual commemoration for a martyr who has not yet been canonized. However, Pope Francis is known for his tendency to break with protocol, for example when he offered a mass for the French priest Jacques Hamel, who was murdered in 2016, and whom the pope called a “martyr” despite not having been yet officially recognized as such by the Congregation for the Causes of Saints. On the other hand, it is not unusual for the pope to concelebrate his morning masses in the chapel of his residence with visiting prelates—in fact, this is an everyday occurrence. 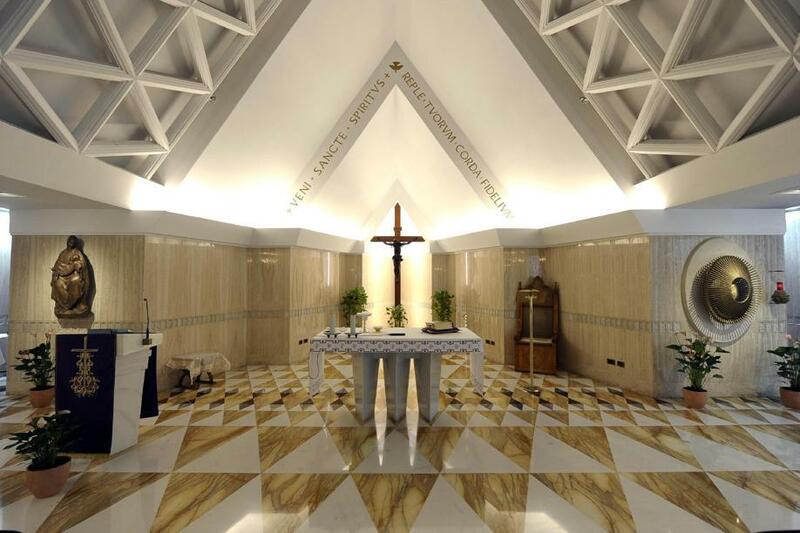 The Santa Marta House Chapel. During his homily, the Nuncio also said that all the information regarding Romero’s miracles is already in the hands of Pope Francis. 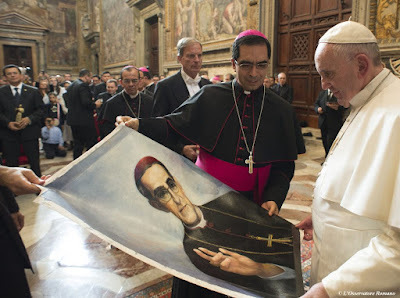 “We have worked hard in recent months with the Ecclesiastical Tribunal to approve Romero’s miracles,” said the Nuncio. 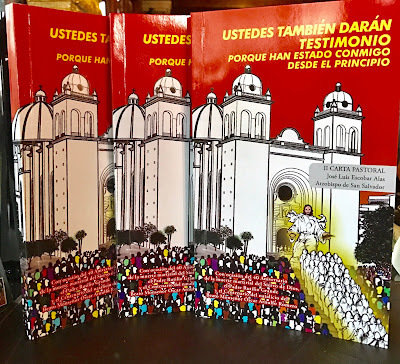 The tribunal, convened by the Salvadoran Church, concluded its work in late February and forwarded its report to the Vatican, in hopes that it would bear fruit in time for the visit to the pope in March. It is unclear whether Archbishop Kalenga meant that information about the miracle has come directly to the pope, personally, or whether he was referring to the normal process in which material is sent to his representatives in the Congregation for the Causes of Saints, which is in charge of investigating and advancing the cause. We will continue to monitor developments in the process. El Papa Francisco concelebrará una misa festiva en conmemoración del martirio del Beato Óscar Romero, acompañado de todos los obispos de El Salvador en la Capilla de la Casa Santa Marta—la residencia del pontífice—el martes 21 de marzo. El Nuncio Apostólico en El Salvador, el representante oficial del papa en el país, el Arzobispo León Kalenga, dio a conocer el dato sobre la concelebración durante una misa en El Salvador para celebrar el cuarto aniversario de la elección del papa, celebrada en la Catedral Metropolitana de San Salvador y asistida por altos funcionarios de la Iglesia y del país, incluyendo el Presidente de la República, Salvador Sánchez Cerén, quien aprovechó la ocasión para dar a saber que enviará una carta al pontífice pidiendo que Romero sea canonizado durante el año centenario. “El Santo Padre, con mucho gusto va a concelebrar la eucaristía con todos nuestros obispos, que hacen en memoria del Beato Oscar Romero”, dijo el Nuncio Kalenga. La concelebración festiva por el martirio de Romero sería la primera celebración de Romero con una participación papal, y perfila como una conmemoración inusual para un mártir todavía no canonizado. Sin embargo, el Papa Francisco destaca por su tendencia de romper esquemas, por ejemplo cuando ofreció una misa por el sacerdote francés Jacques Hamel, asesinado en el 2016, a quien el papa tildó de “mártir” aun antes de ser así reconocido oficialmente por la Congregación para las Causas de los Santos. Por otro lado, no es inusual que el papa concelebre sus misas matutinas en la capilla de su residencia con prelados visitantes—de hecho, es una ocurrencia cotidiana. Capilla de la Casa Santa Marta. Durante su homilía, el Nuncio también dijo que toda la información, sobre los milagros de Romero ya se encuentra en manos del Papa Francisco. “Hemos trabajado mucho, en estos últimos meses con el Tribunal Eclesiástico para aprobar los milagros de Romero”, dijo el nuncio. El tribunal, convocado por la Iglesia Salvadoreña, concluyo su trabajo a fines de febrero y emitió su informe al vaticano, lleno de esperanzas de que diera fruto a tiempo para la visita al papa en marzo. No está claro si Mons. Kalenga quiso dar a entender que la información sobre el milagro ha llegado directamente a la persona del papa, o si se refería al proceso normal, en que se le envía a sus representantes en la Congregación para las Causas de los Santos, que se encarga de investigar y avanzar la causa. Seguimos atentos a los desarrollos en el proceso. Papa Francesco concelebrerà una Messa festiva in commemorazione del martirio del Beato Oscar Romero, accompagnato da tutti i vescovi del Salvador nella Cappella della Casa Santa Marta—residenza del pontefice—su Martedì 21 marzo. Il Nunzio Apostolico in El Salvador—il rappresentante ufficiale del Papa nel Paese—Mons. Leon Kalenga, ha rivelato i dati sulla concelebrazione durante la messa in El Salvador per celebrare il quarto anniversario dell’elezione del Papa nella Cattedrale Metropolitana di San Salvador davanti la partecipazione di alti funzionari della Chiesa e del paese, tra cui il Presidente della Repubblica, Salvador Sanchez Ceren, chi ha preso l’occasione per far sapere chi ha inviato una lettera al papa chiedendo che Romero venga canonizzato nell’anno del suo centenario . “Il Santo Padre, sarà lieto di concelebrare l’Eucaristia con tutti i nostri vescovi, che lo fanno in memoria del Beato Oscar Romero”, ha detto Nunzio Kalenga. La celebrazione concelebrata dal martirio di Romero sarebbe la prima con un coinvolgimento papale, e si distingue come una commemorazione insolita per un martire non ancora canonizzato. Tuttavia, il Papa Francesco è noto per la sua tendenza a rompere schemi, per esempio quando ha offerto una messa per il sacerdote francese Jacques Hamel, assassinato nel 2016, che il Papa ha descritto come “martire” prima ancora di essere così ufficialmente riconosciuto dal Congregazione per le Cause dei Santi. D’altra parte, non è raro per il Papa concelebrare la messa mattutina nella cappella della sua residenza con i prelati visitatori—di infatti, è all’ordine del giorno farlo. Cappella della Casa Santa Marta. Durante l’omelia, il Nunzio ha anche detto che tutte le informazioni sui miracoli di Romero è già nelle mani di Papa Francisco. “Abbiamo lavorato duramente in questi mesi con il Tribunale Ecclesiastico per approvare i miracoli di Romero”, ha detto il nunzio. Il tribunale, organizzato dalla Chiesa salvadoregna, ha completato il suo lavoro alla fine di febbraio e ha emesso la propria relazione al Vaticano, pieno di speranza che porte frutto in tempo per la visita al Papa a marzo. Non è chiaro se mons. Kalenga voleva dire che le informazioni sul miracolo è arrivato direttamente alla persona del papa, o se si riferiva al processo normale, che viene inviato ai loro rappresentanti presso la Congregazione per le Cause dei Santi, che è responsabile per indagare e promuovere la causa. Rimaniamo attenti agli sviluppi del processo.